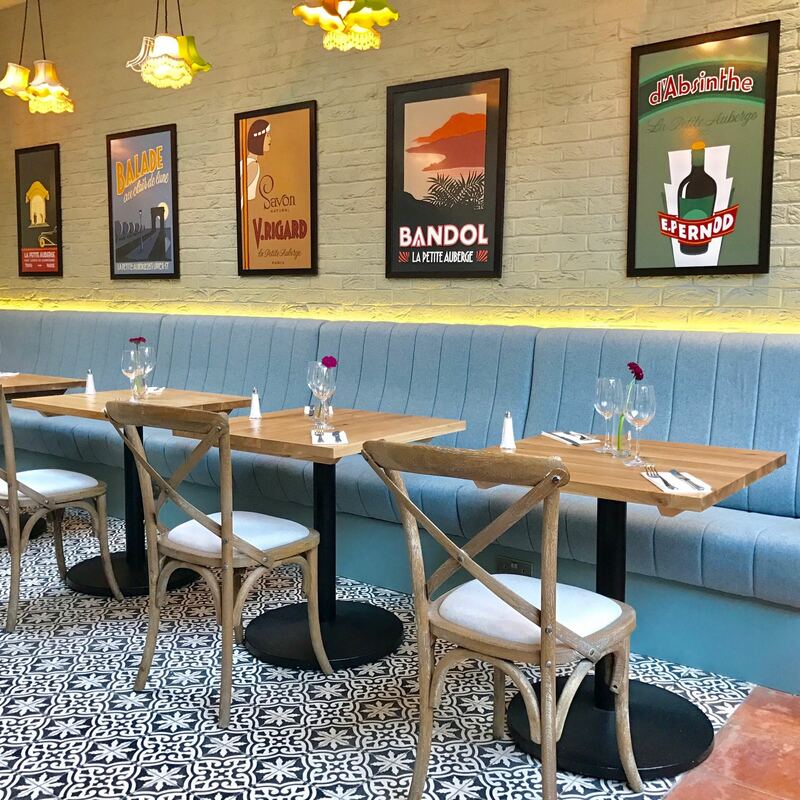 Our 'Sister' restaurant La Petite Auberge, based in trendy Islington, has been serving our loyal guests for over 10 years. The vibrant atmosphere, level of service and array of main course dishes including gourmet sandwiches, desserts, tea, champagne and the best coffees available, will be exceptional. Thank you for visiting us and we look forward to meeting you all very soon. The food and service is always great! Excellent service- friendly and attentive but not intrusive. Food was tasty and wine was good value. Lovely decor and spacious. Will return and definitely recommend. The food was average. I had salmon and asked for it to be well done and it wasn’t. I was not offered any dressings with the salad. The staff were not over friendly. A lovely tasty roast chicken lunch would like addition of sage & onion stuffin just to finish it off. I went with a party of five for Saturday lunch. We all had a fantastic time. The food was first rate, drawing Ooohs and Aaahs from my companions when it appeared. The staff were friendly and very helpful. We couldn't fault it in any way. Highly recommended. We shall certainly be coming back. Lovely evening celebrating a dear friends retirement. Staff very polite and professional, food excellent! Highly recommended. Great food and service. Excellent experience. Very friendly service. Superb quality food cooked to perfection. We loved the light, bright environment - especially the room at the back with the tree in the middle. The only downside is difficulty of parking - but we won't let that stop us going back! 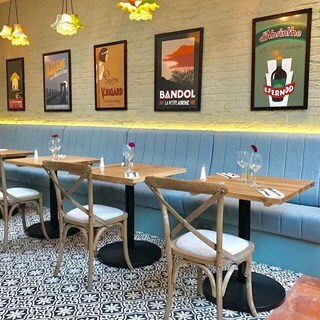 Lovely French restaurant with excellent food and atmosphere and nice surroundings. The waitress and restaurant manager were very helpful, and attentive and professional. We will definitely do back. As a local resident who had visited a few times before we were very disappointed to turn up on Mothers Day and have to wait over 20minutes for a table, when other larger groups, who had come in after us were seated ahead of us even though we had made a reservation. It was only after we made a bit of a fuss that the manager made an effort to find us a table and were seated. No apology however just an explanation that they were busy. Once seated service was very slow and we were hungry so it did  spoil our experience. Thankfully the quality of the food saved the evening for us but would not return on any event days due to poor time management. The prawn starter lacked flavour ,the calamari was very good. The sea bass was good ,Beef Bourguinon was average,however the duck was poor, would have liked some sort of potato with the duck,was not aware it did not come with anything.Although I really like the restaurant ,we had a table between the two rooms,people kept bumping into me.For Mother'day was disappointing to say the least. When I booked, I wasn’t told that after a certain time on a Sunday you’d get an evening menu. We noticed that 10 minutes after sitting down, the staff were putting specials menus on the other tables. We would have liked those menus instead of the brunch/lunch ones but weren’t offered that as an option. The food is great, but my only suggestion would be that bread should be served as standard with the escargots - you need something to pop up the remaining garlic butter. Set menus for early dinner seatings and special occasions would also be good - they can be offered as an option with the alternative of ordering from the a la carte menu. However, I do enjoy the food and will definitely be back again.